Owners Karl Meter and Barb Roessner each have over 20 years combined experience in closet and cabinet design, building and installation with some of the top companies in the industry. After working together for a few years, they realized what a good "team" they are and decided to put their experience and knowledge to the test. In September 2011 they formed Simply Closets & Cabinets. Karl and Barb share a passion for this industry and take great pride in their product and cater to their clients. They care as much about you and your home as you do. They know your time is valuable and your home is precious so their goal is to provide you with beautiful and functional cabinetry at a price you can afford in a time frame that works for you. 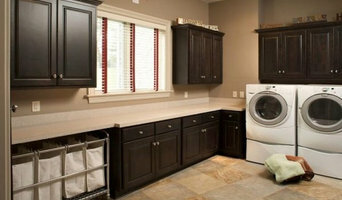 We specialize in custom closet and cabinet design and installation from the very basic to the elegant. Karl and Barb will personally hold your hand through the whole process, whether they are helping you with your closet, bathroom, home office, laundry room, garage storage, kitchen or whatever project you are working on. California Closets provides a range of unique and beautiful custom closets, closet organizers, and closet storage systems for any room in the home. Everything we do at California Closets is rooted in our commitment to offer quality custom storage solutions that help people become better versions of themselves, with more time and space to focus on what matters most. Explore our unique designs and exclusive materials at www.californiaclosets.com Contact me today for a free, personalized consultation 239.249.0974. We are a small Island Company with huge Midwestern Values. We absolutely cherish each and every one of our customers and treat them exactly how we would want to be treated ourselves. All of our products are custom made and installed by our skilled finish carpenters. All of our products are proudly made in America and are guaranteed for life. Come find out why Custom Closet Solutions, LLC is one of Marco Island’s and Naples fastest growing businesses. Custom Closet Solutions offers free customized design consultation and professional installation for your closet, pantry, laundry and living spaces. Our materials come factory direct, which saves you money. All of our materials are American made and come with a limited lifetime warranty. We are generally less expensive than even the big box stores! So please give us a call or send us a message anytime for a no obligation free design consultation. We LOVE our customers and sincerely look forward to talking with you soon. Now serving Marco Island, Naples and everywhere in between! I run a small business with just a few professionals that I use when necessary. I have access to Electricians, plumbers, carpenters, and General Contractors for a bigger project. 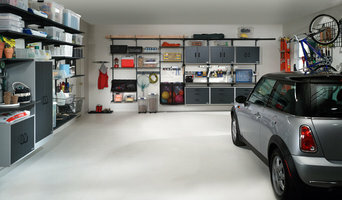 I can get you out of storage units, get you in to your garage in an organized fashion and not break your budget. I also organize storage units for you to be able to downsize. I do packing, shipping, ebay, and other locals selling sights. I organize and host Estate sales and do not take a percentage of your sales. Just my daily/hourly rate. I can transform your closets in home to be functional and accessible. Kitchen organization will change your daily life to Wow! I offer a FREE one hour consultation- What are you waiting for? At More Space Place Fort Myers, Furniture Shopping is Different! Today’s furniture needs to be more than just beautiful — it needs to be space-effective, highly functional, flexible, and stylish. At the More Space Place Fort Myers Design Center, you have the resources to transform any room in your home with custom organizational solutions. Too many people think that shelving, custom closet structures, and other types of organizational units won’t match the existing style of their home, or won’t look attractive. More Space Place Fort Myers is here to prove you wrong. With a variety of styles, colors, and finishes, we can help you create a furniture solution that will enhance the look and feel of any room. Design doesn’t have to be a pain, we make it fun! More Space Place Fort Myers knows that great design is always a matter of opinion, so a custom furniture solution for you might not be the best choice for someone else. That’s why our collaborative process is so important. By partnering with our professional designers, you can create a perfectly individualized, space-saving system, from Murphy Beds and custom closets to luxurious media centers and functional pantry organizers. Don’t force yourself into the mold of generic, cookie-cutter organizational systems ever again! Our design consultants will work with you at our store or in your home to advise you on all of the following aspects of your custom Murphy Bed, closet, or home office solution: Color Finish Material Accessories Hardware And much more No matter your budget, no matter your personal style, More Space Place can find an affordable home storage solution for anyone in Fort Myers, Port Charlotte, Cape Coral, or surrounding areas. You can choose basic, affordable designs or you may choose cutting-edge designs by mixing materials and finishes. No matter what you choose, you will find that creating a unique furniture solution for yourself will be rewarding and fun. 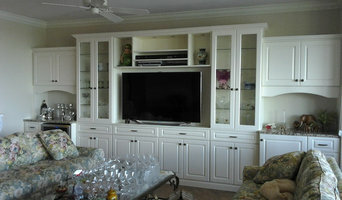 MCS Custom Closest And More is a design and cabinet sales business located in the heart of Fort Myers. Our team of designers are eager to help you create the design of your dreams. MCS Custom Closets And More is a sister company of a very well known and respected Kitchen, Bath and Outdoor Kitchen Company; Marks Cabinetry Services. MCS Custom Closets And More currently is working on providing our clients with a design center offering our customers a unique, relaxed, and comfortable setting to shop for kitchens, baths, offices, closets or any part of the home utilizing cabinets. Our beautiful array of custom cabinetry in over 100 door styles. customers can see their cabinets and room designs come alive with full architectural drawings or 3D renderings. We combine beautiful wood species, eco-friendly practices, and a superb finishes with friendly and expert assistance. Visit us or call us to learn more about how we can make organizing your area of choice the best experience you have ever had. Overwhelmed? Don't know where to start? As your Professional Organizer, I help to take away the stress and get it done, whether its preparing for a move or settling in from one. Declutter to reclaim your space, no matter what that space is - from the closet, to the garage, to the Inbox. I can offer you solutions that bring a sense of peace and satisfaction to your home. Coming into the Professional Organizer career field in 2015 may not seem that long ago, but Charlene knows this is her calling because in reality she has been honing her craft through administrative roles for over 30 years - from receptionist to paralegal to office manager. Professional Organization and Life Coach. Specializing in helping families take care of their daily task and homes more efficiently! I am a designer for Closet Factory. With a background in Interior Design, I will help you organize your space. 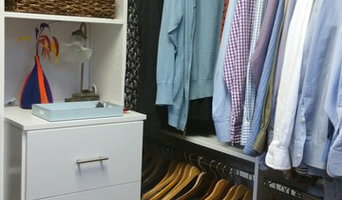 A new, streamlined closet that best utilizes your space can change your life.